This is a look at the town of Cass West Virgina. 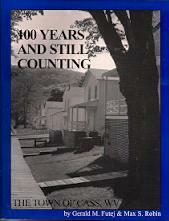 Included is a history of the town, the Company Store, Churches, schools, post offices, houses and more. Well illustrated.